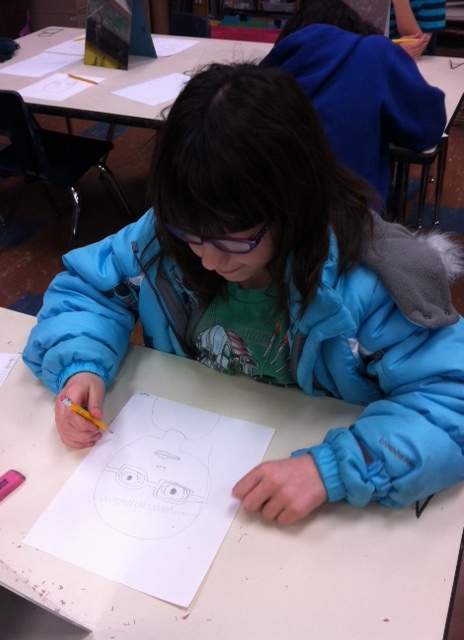 Fourth and fifth grade students are focused on drawing self-portraits that celebrate their strengths and goals for being peacemakers. 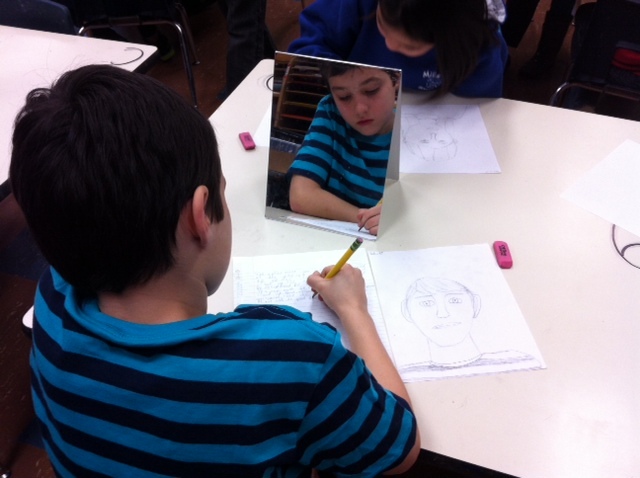 Starting with carefully drawn self-portraits, students are reflecting on their personality and ways that they can stand up for peace. 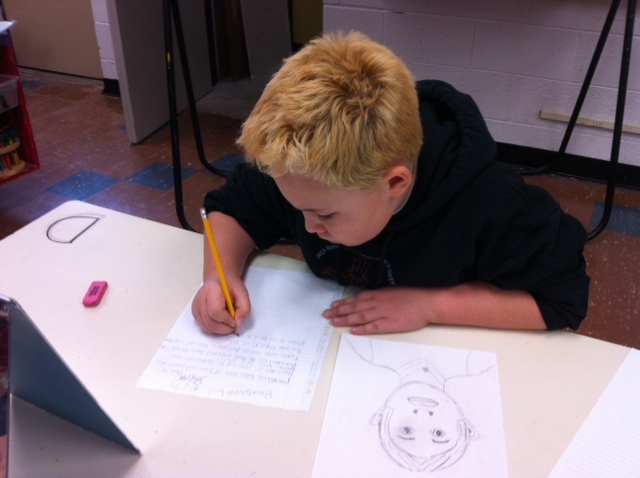 Students see themselves as creative, funny, bold, resourceful, artistic, sporty, good listeners, intelligent, caring, and friendly. They see themselves as peacemakers by standing up for others, doing the right thing by listening or helping others in need, making someone laugh or smile, comforting someone when their feelings are hurt, and including someone by inviting them to join in when they feel left out. 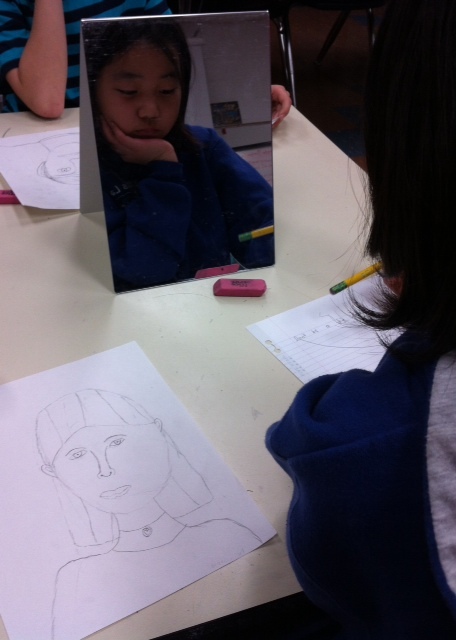 Students are thinking about peer pressure and being reflective instead of reactive. We agreed that sometimes we get stuck relying on claims of, “He made me do that” or “She deserved it”. Instead these responses can be replaced by “What can I do instead to show kindness?”. Students are thinking about the power each of us has to make a choice to show integrity and empathy each day.